This listing is for your own custom piece like the one shown, made from premium lumber that has been cut by Tommy, painted and then painted with a couple coats and sanded some more by me (Rita) with hints of the base coat showing slightly around the edges of the board. 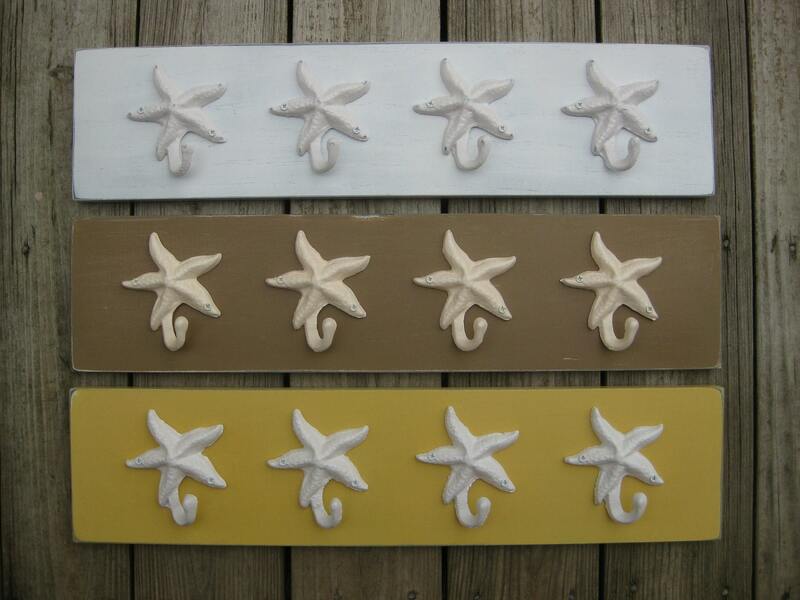 Then we attach these lovely starfish hangers; they're cast iron, and I've given them a couple coats of paint; usually we sand the starfish, but the cappuccino ones here were not sanded, or distressed. 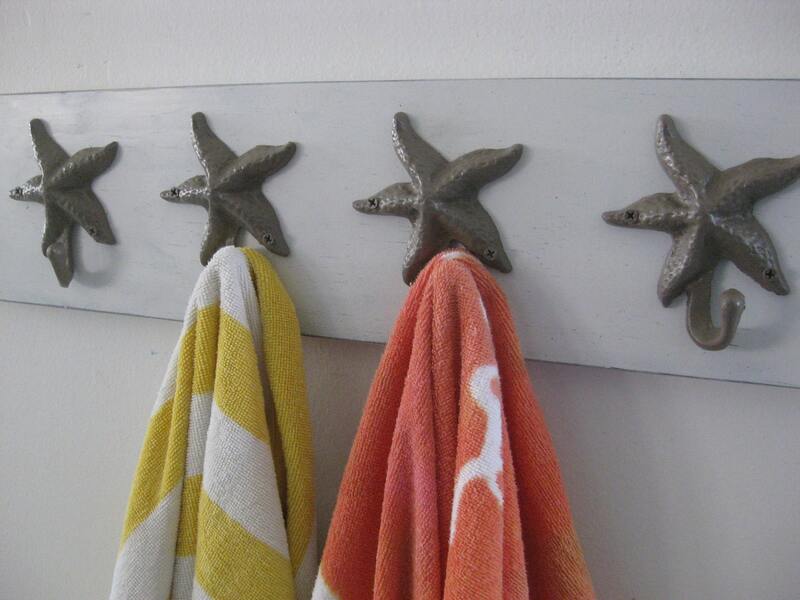 If you only want 3 hooks, purchase that separate listing; this listing is for 4 starfish. 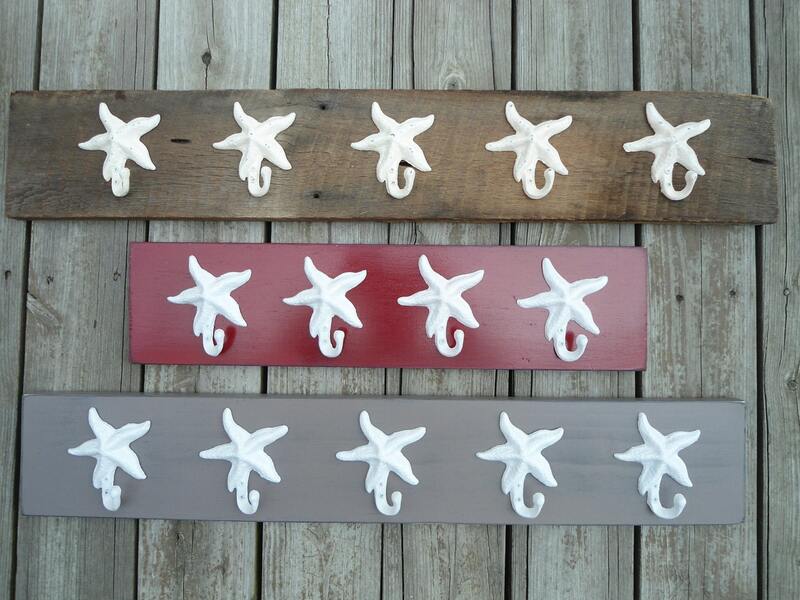 If you want 5 hooks, purchase that separate listing; this one is for 4 starfish hangers. 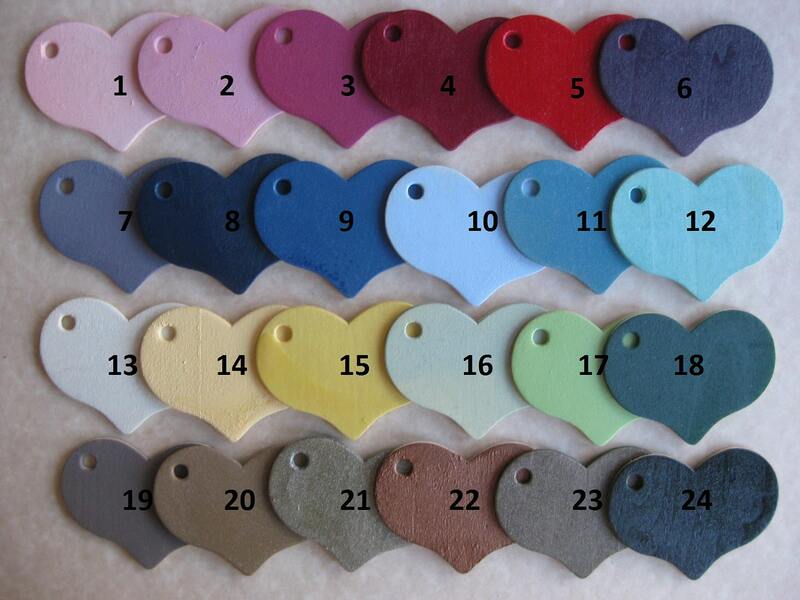 5 hook boards are shown in photo 4: top board= 5 hooks on barnwood, bottom= 5 hooks on cappuccino. Love this fun (yet classy) bath hook wall art. 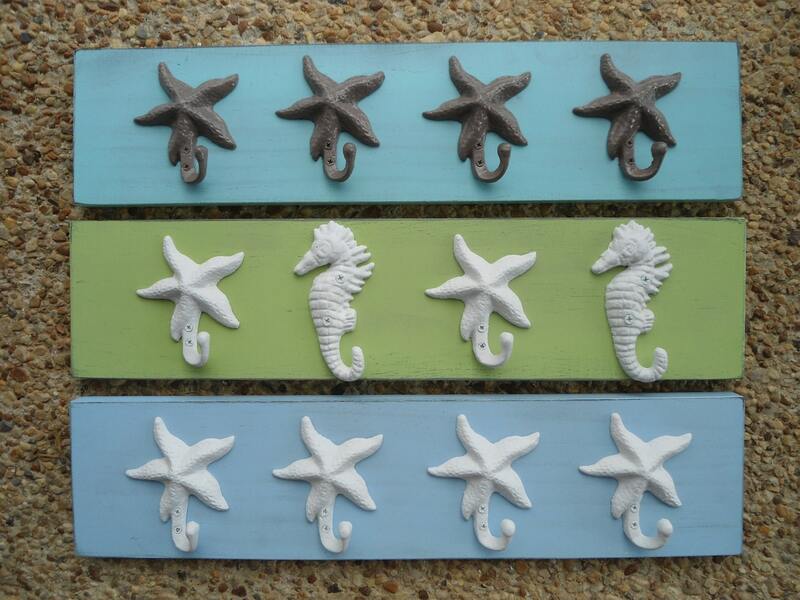 I live on the beach and this is my 4th seaside wall art from BeachHouseDreams….just wonderful!!! The couple I bought this for as a gift is thrilled with it! Thank you so much for your excellent work and fast shipping. This will happily hold towels for years to come! Love this hook rack! Super well-made, and thank you for making the finish without the distressing for me--looks sharp! I was surprised how quickly you were able to make and ship the item for me. I also like how the hooks are "turned" a little bit to the side, so they are not sticking straight out--seems a safer. Great item, great service, thank you! very sturdy hook board. goes great with my nautical bathroom. thanks so much. Thank you for keeping in touch and for the frequent updates! Loved the item.